Dear 2018/9 clients and all potential clients... we are exhibiting at the Asian Wedding Show at Byron Hall in Harrow on Sunday 29th October 2017. Hope to see you there to discuss your upcoming Hindu, Sikh or Muslim wedding photography requirements; you'll find us on stand 41. "This exciting event brings together the best suppliers and wedding professionals under one roof, making this one-day show your one-stop-shop for all your Asian wedding planning needs." Do come and say hello, and see what we could bring to your special day. Byron Hall is part of Harrow Leisure Centre, just a few minutes from the A406, A40, M40, M1 and M25. Once again we are exhibiting at the National Asian Wedding Show at the ExCel London, which this year falls on 15th and 16th October. We'll be on stand G25. Do come along and say hello. We'd love to chat with you about the plans you may have for your upcoming wedding, and show you what we've been up to this past year. It's been an incredibly busy summer! Make the most of the opportunity to get to know us, and find out how we can create a fun and vibrant record of your wedding day you'll treasure forever. 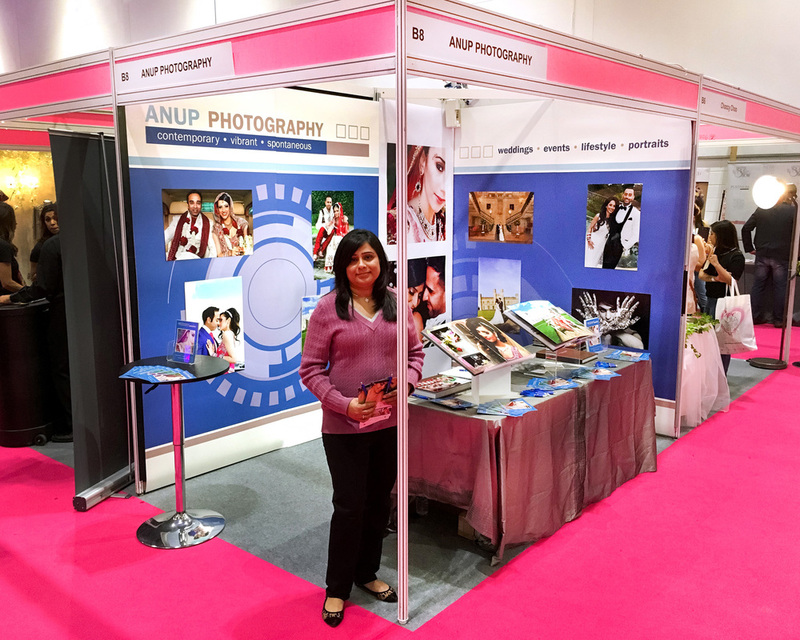 We wanted to thank everyone at the National Asian Wedding Exhibition at ExCel London who visited our stand or kindly took one of our flyers and our lovely Anup Photography pen. It was great meeting you all and discussing your wedding photography requirements. Those that left your details with us, your quotations have now all been sent out. We look forward to meeting all our potential clients soon.